Home Futurism Who Will Go to Mars? Despite a relatively huge size of our planet, it’s capacity to sustain another billions of people is very limited. It has nothing to do with the territorial restraints, but rather the ever increasing lifestyle requirements and “consumerism mentality” of the human race. Current talks about colony establishment on Mars might sound quite outlandish today, but every coming year they will be decisively less so. People who are currently labeled as “losers on Earth” and reckless adventurers, in hundred years’ time will be perceived as “lucky bastards”, who have accumulated enough money to leave for a better life or have gathered enough valuable experience to be chosen for the mission, – the overwhelming responsibility over the lives of those hundreds of people who will be the first settlers.Year 2105. 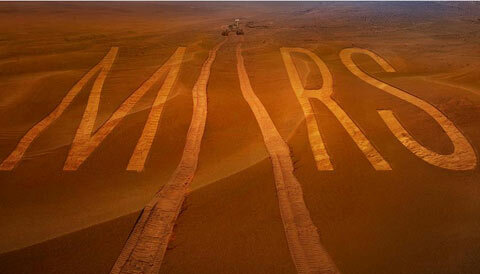 Final Countdown to the “Mars Colony” Mission. Mars One has had successfully completed its mission of bringing first returning settlers and establishing first laboratories on the Red Planet. Numerous consecutive missions of SpaceX have had created a solid base for any incoming groups and had managed to build several base stations. Basic living conditions have had already been created and anyone willing to sacrifice luxury and comfort for the sake of personal survival would be more than happy to enjoy the military-style environment. In early 2100s Chinese, American and Indian space industries have come together to fund and create a spaceship big and durable enough to transport up to a hundred Earth inhabitants to the Red Planet, the first one-way trip till now. Numerous tests from Earth and Mars have been conducted and proved the feasibility of sustaining life for a limited number of people for a limited time frame until the appropriate conditions are created to maintain a decent living standard for new “Martians”. Sun temperatures and radioactive activity have been steadily increasing, causing extreme levels of radiation in the former territories of China, Australia, South Africa and Scandinavia. The number of skin diseases and incurable headaches has reached unimaginable proportions. People have been hectically constructing artificial islands in the Caribbean, Indian Ocean and upper Oceania to avoid asphyxiation and increased criminality. The majority of people are living on meagre social subsidies, derived from the added output by advanced robotics. The rest are working hard on learning new skills and methodologies to control machines.The “Mars Colony” list is closing in 3 months. 90 people have already reserved their seats and now the final round of examinations are provided for the microbiologists and multidisciplinary problem solvers. So who is on the list? Due to the need of a huge investment to make the trip possible as well as sustain initial research and construction for the new coming settlers 4 lottery winners were chosen to travel to Mars with their whole family. Their net worth is equal to the whole economy of the United States and they were pooled out of 1000 richest people ready to pay the required sum. These 4 families are paying all the costs associated with the one-way ticket and get the privilege of taking their loved ones on the trip. Since no nationalities exist in post-modern 2100s, the families come from the territory of ancient Canada, France, Mexico and Japan. Total number of people in the first group include 15 passengers.Throughout XXI century the computational capacity, learning abilities and rights of robotics have reached those of the human kind. Accounting for a lack of emotional response, physical durability and harsh environment tolerance, 50 robots and cyborgs were gathered for the trip with the goal of an efficient building of a habitat for the first and consequently coming groups. Boston Dynamics and Polski Robotron have developed machines that can perform construction, gardening, AI-empowered education, water creation and cooking functions. All robots have been equipped with a quite advanced causality understanding, which would make them easily reprogrammable and sociable.Two robotrainers and 2 redevelopers are embarking on a trip to make sure robots stay under human control and can be easily reprogrammed for a new cause as soon as the previous work has been done.A psychologist and a multicivilizational expert are embarking on a mission in order to sooth the panic and melancholia among the human population as well as instill the pride and Martian identity into the new growing generation; to reconcile any arising human-cyborg-robotics conflicts and work with the chosen Leader to create the Martian directory for the next generations. Two advanced mechanists and two engineers are coming on a trip to jointly work with robots, developers and ecosystem planners to expand the habitable zone of the Martian colony.Two terraformers, 2 chemists and 2 material scientists will be boarding the spacecraft to identify the most suitable combination of artificially made and readily available substances that would be used to build new habitable zones.A creative writer, a photographer and a TV host are coming to document the planned 10 years’ journey of the new group and create every month podcasts that would be transmitted back to Planet Earth to shed light on the new civilization being built in the meantime. A crucial role in the mission will be played by a transition historian, responsible for the creation of a craftful combination of Planet Earth outstanding events, achievements and catastrophes as well as an increasing interaction of Human Civilization with other planets, including Mars missions, relevant sci fiction literature and outer space colonial studies. 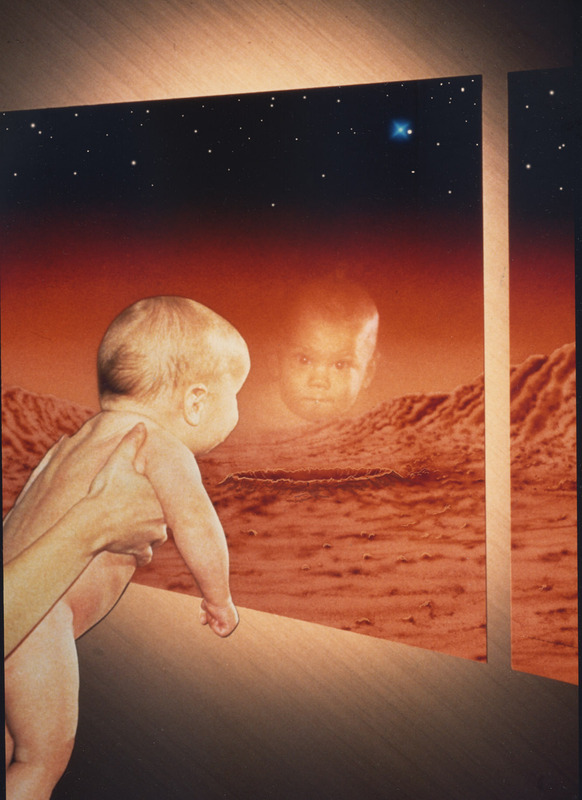 The goal of the transition historian would be to start building a coherent narrative for the growing Martian population and jointly work with the psychologist, multicivilizational expert and Leader to create the identity that would hold new population together, bound by the same interests, goals and ambitions. Four famous bio scientists in the domains of physics, biosphere, atmosphere and gravitation will be coming to Mars to make sure the Martian soil can grow the maximum number of needed vegetation and produce a tolerable level of oxygen to sustain the first settlers. Another task of the atmospheric-gravitational team would be to supervise robotic calculations and experiments that would predict what is to be the suitable time to open up the protective capsules and make sure Mars gravitation leaves the produced breathable gases in the habitable zone.Two evolutionary experts will be flying to Mars to follow the changes in human body functioning and develop necessary adjustments in nutrition, physical activity and the type of medication throughout the painful period of Martian adaptation.Two carefully chosen radio technicians and connectivity experts are embarking on a mission that would require them to jointly work with robots, atmospheric experts, planners and engineers to build a comprehensive system of speedy communication between the vital habitable zones as well as the slowly expanding territory of scientific research. The selection has been taking places since 2102nd with many of those people spending half of their lives to accumulate the required knowledge and experience. The remaining team of 4 microbiologists will be paramount in the research of the existing Martian microorganisms and its interaction with human bacteria, evaluating the risks and precautions related to the future incoming human settlers, accounting for the decreased immunity of the forming Martian population and the newly developed bacteria and viruses that will be coming to Mars with the new groups of settlers.Three multidisciplinary problem solvers will be the team of out-of-the-box thinkers and consultants for all other experts in the colony. Those people are to possess unparalleled logical reasoning as well as unmatched creative abilities and highest integrity standards. Leader of the colony will be chosen a year upon the settling and all humans and machines will be eligible for an anonymous vote of confidence.Consecutive trips will be organized in the similar fashion having the lottery winners paying for the trip and multidisciplinary experts playing an imperative role for the strengthening of Martian civilization. Simultaneously discovery missions will be organized to the further habitable Planets, which terraforming would be made possible by the increased willingness of Earth inhabitants and the strengthening potential of Solar-derived energy. Will the “Mars Colony” mission succeed with the above listed inhabitants? Would you be one of them? Previous articleWhat Is Your Social Ranking? Next articleWhat is The Price of Immortality?